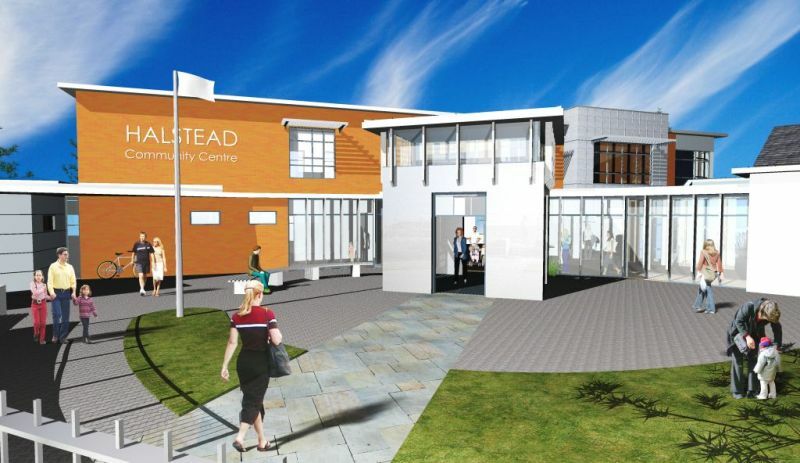 Halstead Community Centre, Halstead, Essex. Gross internal floor area: 1125 sq.m. 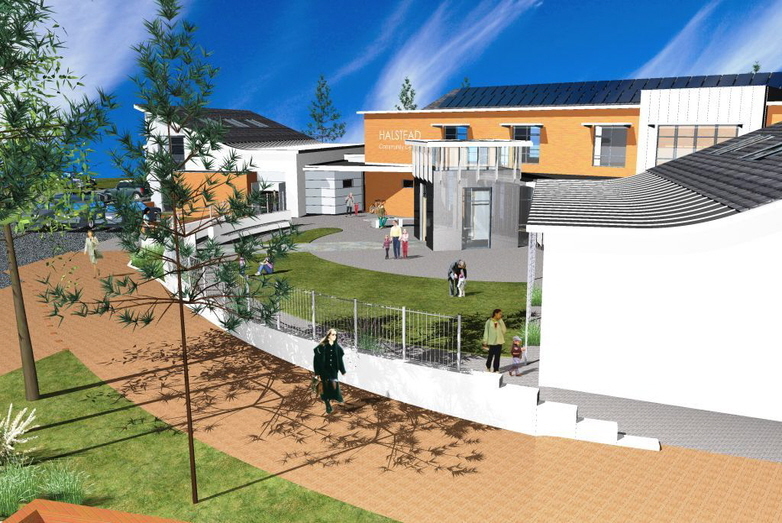 We won this New build project following our successful presentation of feasibility ideas to our client the Halstead Community Centre Charitable Company. 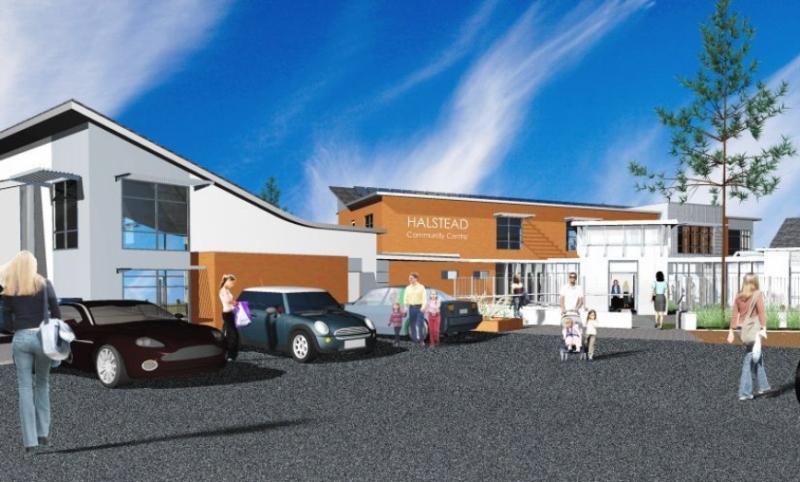 The brief was to design a new community building for Halstead on an existing brownfield site in the centre of Halstead. 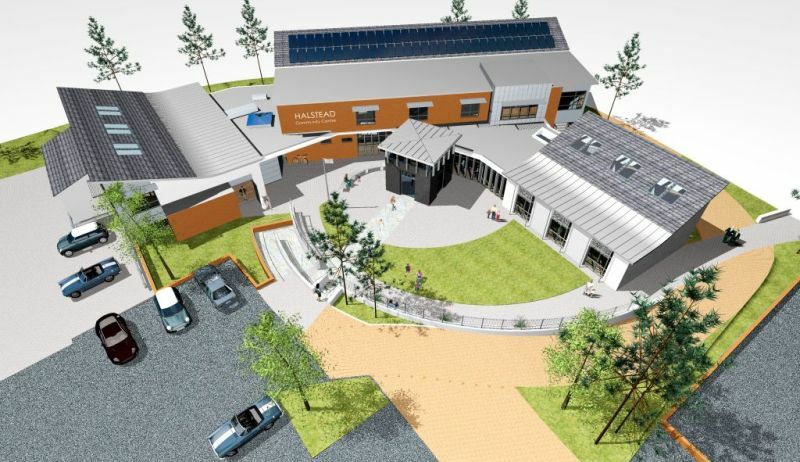 The brief included incorporating the existing library facilities, Town council offices and local museum along with providing flexible and multi use hall and meeting facilities to benefit the local community. A public consultation exercise was underatken in the local library and alongside the general public a couple of schools were involved with several classes of pupils attending and providing valuable feedback on the designs. The site has a past heavy industrial use and contamination issues and flood risk are serious matters being addressed in the new proposals. 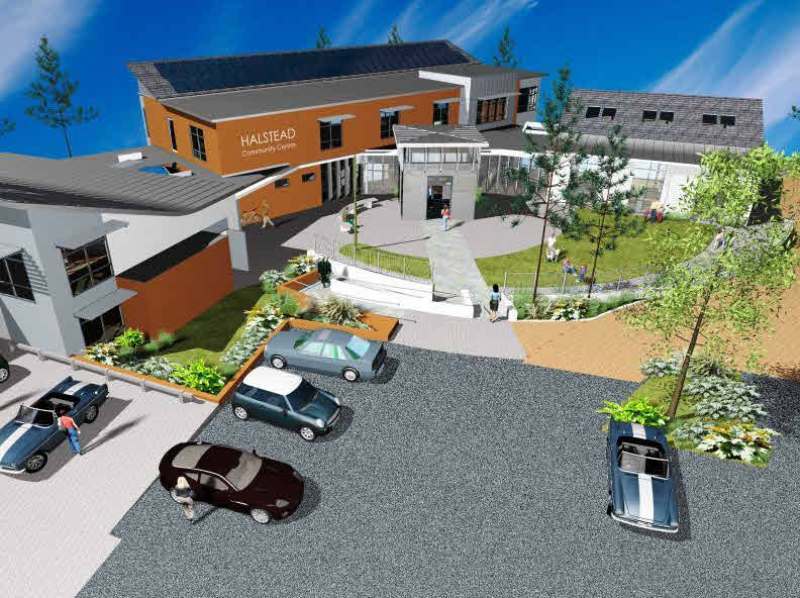 The design seeks to provide a central hub and facilities for the people of Halstead all under one roof in a contemporary forward looking building. 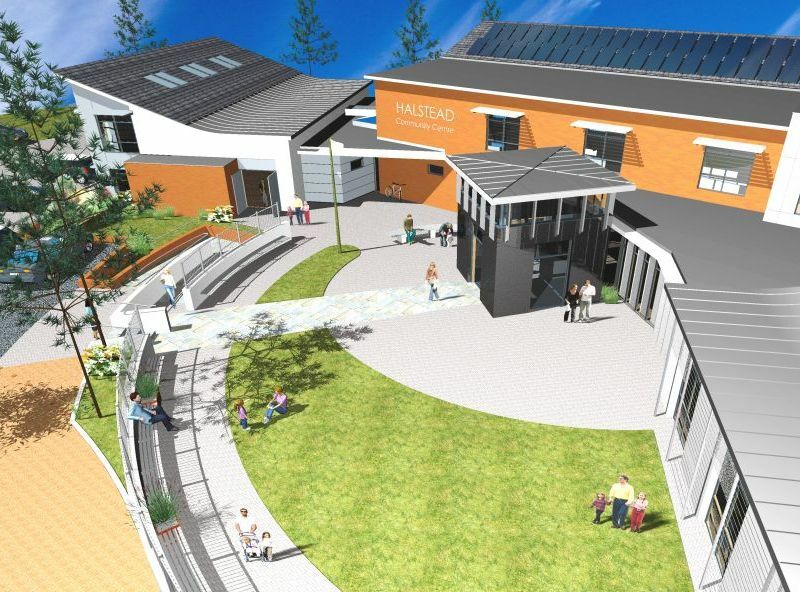 The design features a central entrance leading from a carefully landscaped south facing circular ampitheatre style area which presents a welcoming attractive and sheltered facade to the town centre . 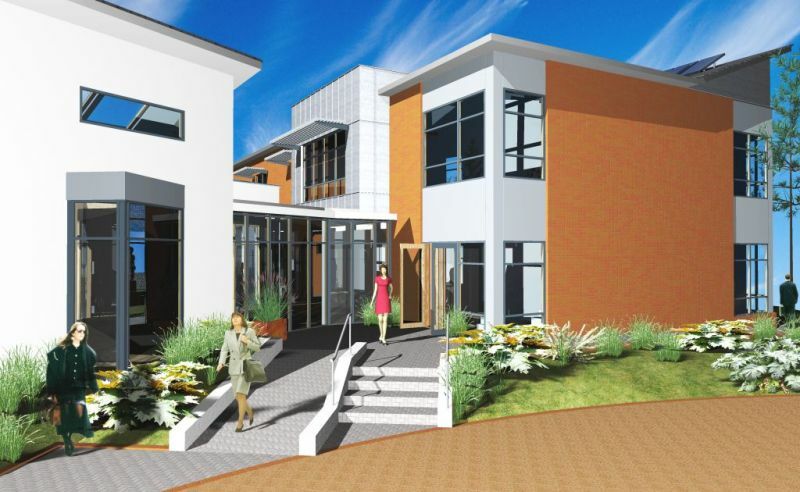 This entrance Leads into the main 2 storey building and open plan cafe style reception from which easy access is afforded to the 2 wings with sweeping curved roofs which are designed to enhance the suggestion of a safe communal space and reduce the overall scale.